Our Christmas books are scattered around our house for the holiday season. My kids pulled out the I Spy style books today. They love looking for Seymore, the wooden toy robot, in Can You See What I See? Night Before Christmas by Walter Wick. 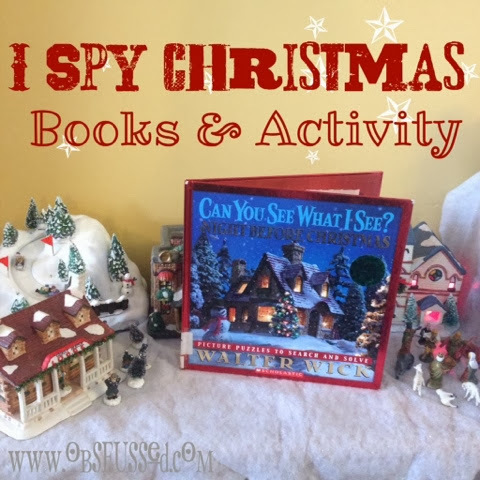 After reading the book we played the I spy game with our Christmas village. They take turns saying what they spy and the rest of us have to find it. 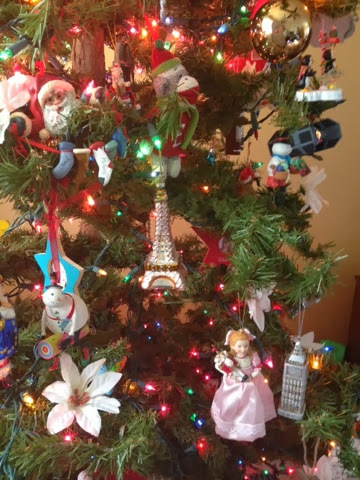 Then we play I spy on our Christmas tree. 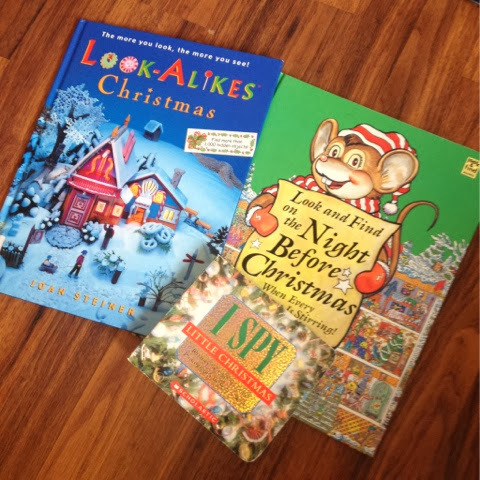 Here are a few of our other I Spy Christmas books. Look-Alikes Christmas, Look and Find on The Night Before Christmas and I Spy Little Christmas. Try finding one of these books at your library, or just play the Christmas I Spy activity with decorations around your home without the books. I think I need to buy my kids an Eye Spy Christmas book. It sounds fun!